The STEIN Standard Tool Lanyard is fitted with 2 half twist loops one which can be choked to a tool attachment point, the other to a karabiner or harness attachment point (see attached label). These half twist loops help to keep the equipment hang straight. A karabiner can now be inserted between the stitch patterns on the tool restraint end which can then be used to hang the lanyard on your harness from an approved harness point. The STEIN lanyards are made from our high quality 20mm flat webbing which is specially treated to be water repellent and resistant to oil and grease. 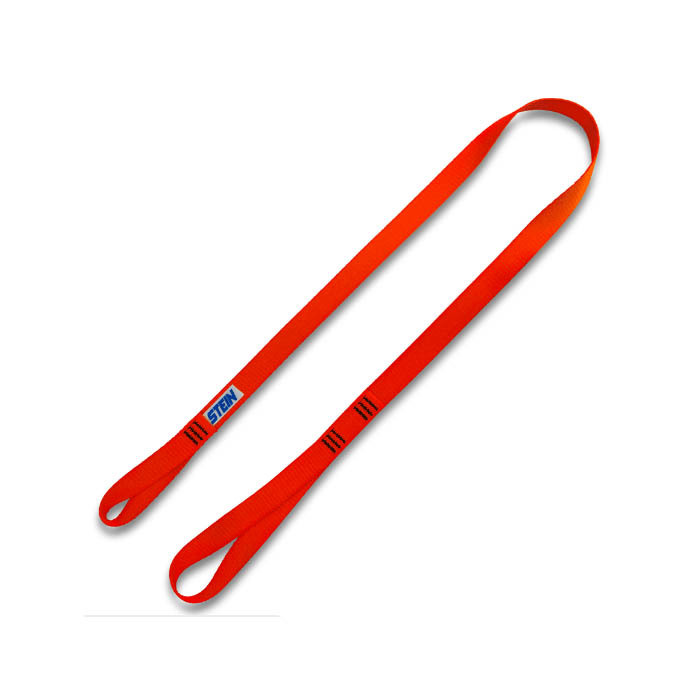 This lanyard is suitable for carrying tools up to 15kg in weight based on a 7:1 safety factor and is matched to the permitted weight allowed to be carried on the tool attachment point of a STEIN VEGA harness.